Franklin Delano Roosevelt was the 32nd president of the United States. While running for the office during height of the Great Depression a key campaign plank he ran with was repeal of Prohibition. FDR delivered on this promise as President. During his four terms in office he also delivered a series of Fireside Chats, radio conversations with the American people that addressed everything from the economy to World War II. 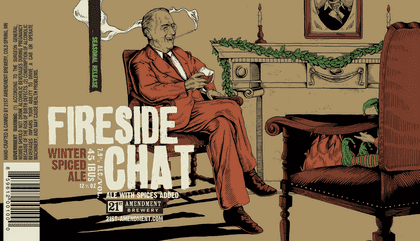 The 21st Amendment Brewery takes its name from the Constitutional amendment that ultimately repealed the misguided Volstead Act. It is fitting that the brewery puts an image of Roosevelt on the label of its winter seasonal. 21st Amendment Fireside Chat Winter Spiced Ale is a 7.9 percent alcohol by volume brew that pours a nut brown color. The 45 IBU are surrounded by a solid malt base. The spices are in the background of this brew and emerge as the beer warms a bit. Cinnamon and nutmeg are the two primary flavors I picked up, with another flavor I found it difficult to identify. Finlandia Vodka is made from pure glacial spring water and six-row barley grown in Finland. 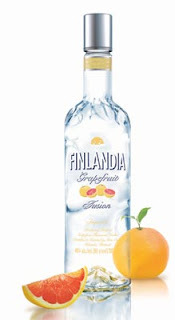 Finlandia uses the peel and pulp of pink grapefruits in the 100 percent natural flavoring of Finlandia Grapefruit Fusion Vodka. Finlandia Grapefruit Fusion Vodka is a crystal clear vodka. The nose is exactly what you smell when you break open the peel of a fresh grapefruit. The flavor delivers a very true fresh citrus experience. Tart, yet with sweet fruit around the edges. A very nice cocktail mixer. Stone 09.09.09 Vertical Epic is a Belgian Strong Dark Ale that weighs in at 8.6 percent alcohol by volume. It is part of the Vertical Epic series from Stone. Stone 09.09.09 Vertical Epic pours a dark, Coca Cola like color with a relatively thin tan head. Nice sweet malt aromas with a touch of chocolate come from the glass. The beer has an interesting flavor profile. Cocoa, dried figs and some good hop notes meld together. In the finish you get a bit of oak, vanilla and some roasted grains. Craig and Kathryn Hall purchased the Bergfeld winery in St. Helena, Calif., in 2003. Craig made his fortune as a Texas businessman and Kathryn is a former U.S. ambassador to Austria. There has been a winery at the Napa Valley location since 1885 and the Halls have poured a considerable investment into the property since taking it over. Katherine Hall 2004 Cabernet Sauvignon is a bright garnet color. This wine is at least 85 percent cabernet, with merlot and cabernet franc blended in for extra complexity. Berry nose, smooth, but assertive flavor. Cabernet character is balanced with both tannin and fresh fruit evident. 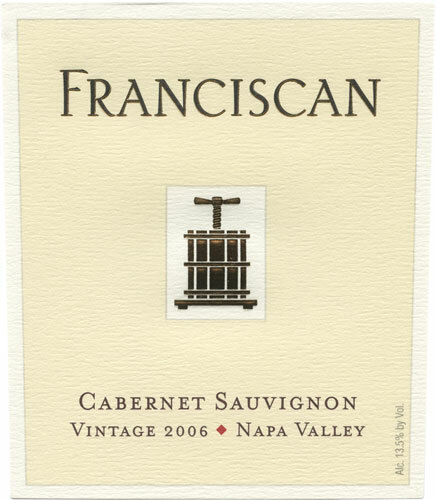 Franciscan Winery got its start in the Napa Valley more than 30 years ago with a 240 acre plot in Oakville. 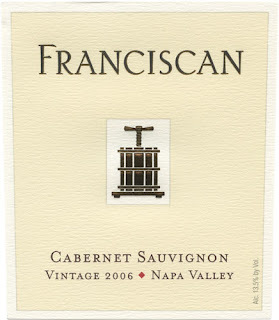 Franciscan 2006 Cabernet Sauvignon pours a lovely purple color with a fruity bouquet. The wine is made with 86 percent Cabernet Sauvignon, 12 percent Merlot and 2 percent combination of Cabernet Franc, Petite Verdot and Malbec. The first whiff from this wine was a little horsey, but it quickly opened to reveal the grape. Very nicely structured. Good dark fruit tones, nice oak spice and a full round finish. Medusa is a California winemaker that focuses on single vineyard old-vine Zinfandel. The operation combines the talents of some well-known wine names, including Rob Mondavi Jr., Lydia Mondavi, Patti McKiernan and Geoff Whitman. Medusa 2006 Pig Pen Zinfandel is a smooth and flavorful zinfandel, leaning towards the lighter side for this grape. Inviting floral aroma that reminds you of summer. Full berry flavor, with a slight hint of cedar and a mild earthiness. Chateau Saint Germain is not in the Champagne region, so the sparkling wine it makes in Saint-Emilion in Bordeaux cannot be called a "Champagne." But the wine is made using traditional methods and it represents a great value. Saint Germain Brut Blanc de Blancs is a non-vintage sparkling wine. It is a fairly straight forward wine, with a dry character, hints of apple and a crisp finish. 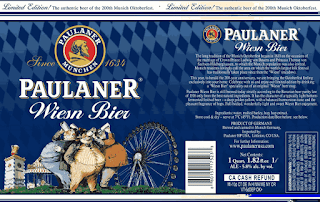 Paulaner is one of the Munich breweries that operates a giant tent at the annual Oktoberfest celebration. The event dates back to 1810, when Prince Ludwig von Bayern and Princess Therese von Sachsen-Hildburghausen were married in an area called the "Wiesn," which means meadow. 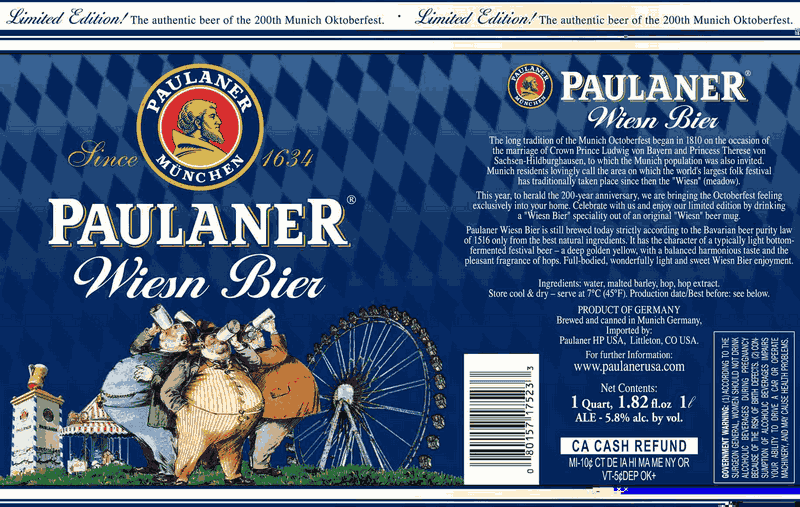 Paulaner says Wiesn was previously only available at their Oktoberfest tent, although I think I recall having a Paulaner Oktoberfest previously in the U.S. In any regard this is a very tasty brew. Good solid malty aroma, elegant golden color and a substantial head. The flavor is smooth, with a bit of spice to the hop. Overall an enjoyable lager with something extra. Stone 07.07.07 Vertical Epic is a Belgian Strong Pale Ale that was brewed in 2007 as part of an annual release by the brewery of special beers that started in 2002 and will continue to 2012. Each of the beers is designed to be capable of aging for a number of years. Stone 07.07.07 Vertical Epic Aged in Red Wine Barrels is a hazy pink orange color with a classic funky nose. This beer displays a great combination of a Belgian ale and the impact of a unique barrel selection for the aging. The red wine is clearly present in the finished product. A nice fruit base that includes some finishing citrus notes. Three plus years after it was brewed this is a pretty tasty brew. 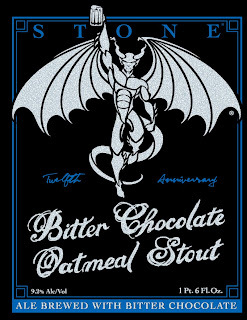 Stone Brewing celebrated its 12th anniversary in 2008 by brewing a special brew that was actually a combination of two recipes. One was an oatmeal stout created by Jeremy Moynier and the other was an imperial stout brewed by Jake Ratzke that used Oaxacan chocolate. The outcome is pretty special. 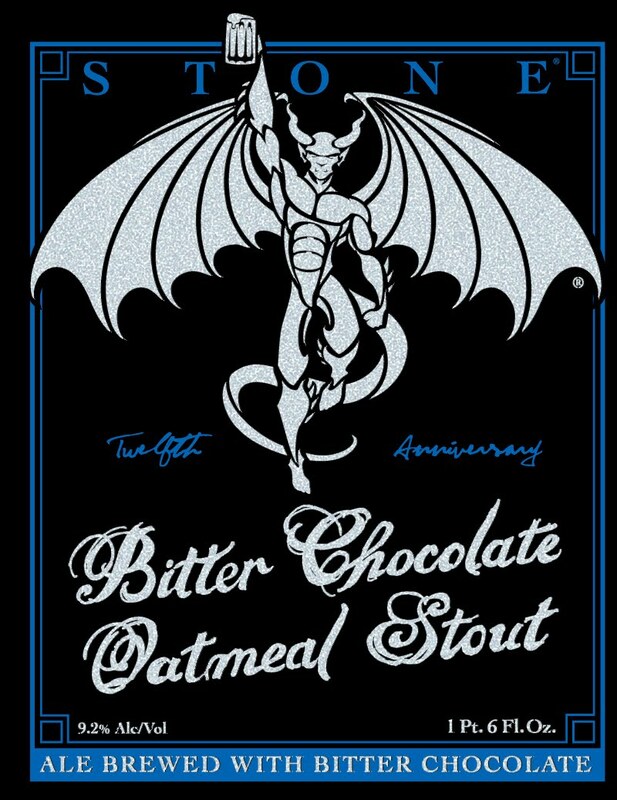 Stone 12th Anniversary Bitter Chocolate Oatmeal Stout is a 9.2 percent alcohol by volume pitch black brew with a moderate tan head. The beer has a cocoa and coffee aroma. The flavor has an immediate bitter dry chocolate flavor at the start. It rounds out a bit, but is a big roasty and bitter meal of a drink. Greg Koch was in Charlotte recently as part of a Stone Brewing "Total Tap Take Over" promotion, where they had all 40 taps at Duckworth's, one of the growing number of craft beer bars in the city. I did not get to go to the event due to my travel schedule, but I did have the chance to stop in at the bar and still found 20 of the taps still going strong. 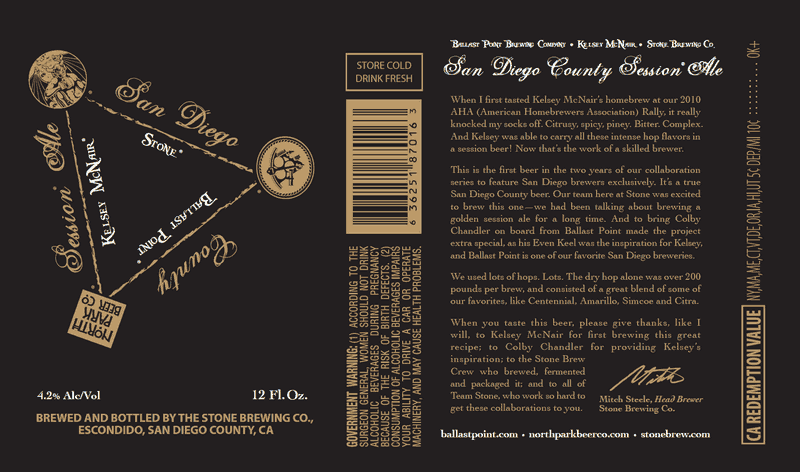 Stone San Diego County Session Ale is a collaboration brew created bu Ballast Point Brewing’s Colby Chandler, Stone’s Mitch Steele and Kelsey McNair, a homebrewer. 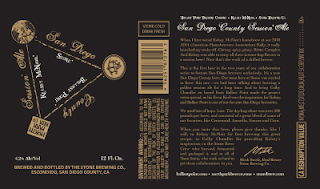 Stone San Diego County Session Ale is a 4.2 percent beer that is meant to be consumed with friends during a afternoon or evening session. The beer is a bright golden color with a frothy head. The brew is very aromatic. Plenty of citrus, leaning towards grapefruit in this one. A very enjoyable beer. Gosling's has been making rum since 1806. Gossling's Black Seal Rum is a liquid symbol of Bermuda. A family business for two centuries, Gosling's is the leading export from the island nation. Gosling's Family Reserve Old Rum is a rich amber color and has an attractive maple nose. The flavor is big and rich. Sweet baking spices, plum and some wood pushes forward. Not a light rum for a fruity cocktail, this one should be sipped and savored. Caretaker 2008 Pinot Noir is a Central Coast California wine that is sold at Trader Joe's. Caretaker 2008 Pinot Noir has a light floral aroma and pours a purple garnet color. The wine has a delicate body, with hints of black cherry and raspberry. Very smooth and drinkable. Not the biggest red you will ever taste, but pretty nice to go along with a roasted chicken. Glenfiddich means "Valley of the Deer" in Gaelic. The distillery was established in 1886 in the Scottish Highlands. 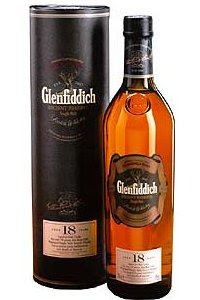 Glenfiddich Ancient Reserve 18 Year Old Single Malt is an 86-proof Speyside whisky that has been aged in ex-Oloroso sherry and Bourbon whiskey barrels. It is an inviting tarnished brass color, with an enticing herbal nose. The flavor opens with mellow wood, a touch of fruit and some toffee in the finish. What can you say about a brewery that can trace its roots back to 1397? Plenty, since the brewery is one of the mainstays of the Munich brewing scene. The Spatt family gave the brewery its name when they took control in 1622. Spaten's fame was secured when, as the smallest brewery in Munich, Gabriel Sedlmayr, master brewer for the Bavarian Royal Court, acquired the brewery in 1807. 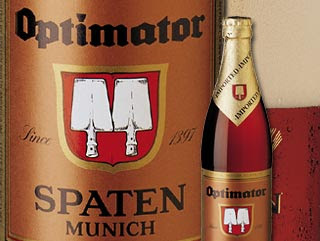 Spaten Optimator is a classic doppel bock. It pours a lovely amber brown color with a tan head and malty aroma. The 7.2 percent alcohol by volume brew has a nice roasted malt flavor with a delicious sweet finish. The beer is perfect for a chilly fall night. Rogue Chocolate Stout was originally created for export to Japan. Rogue Chocolate Stout was released in the U.S. for Valentine’s Day in 2001. Rogue Chocolate Stout pours dark brown with a mocha colored head. The beer has a roasted grain and chocolate nose. The flavor is dominated by a powerful 69 IBU, with a nice depth of flavor provided by a combination of barley, oats and chocolate. An interesting take on stout. Deschutes Brewery brewers walked three hop fields in the Willamette Valley to select the Crystal Hops used to brew Deschutes Hop Trip. The fresh hops loaded in the morning were added to the brew kettles by the afternoon. Six pounds of hops per barrel were used to craft this beer. Deschutes Hop Trip is a fresh hop ale that is 5.5 percent alcohol by volume and 38 IBU. The beer pours an amber gold with a thick tan head. The aroma has plenty of citrus and the flavor is a dramatic grapefruit and pine mixture that rolls along for quite a distance. A hop lover's delight. Sierra Nevada Brewing is in the middle of a year-long celebration of its 30th anniversary by brewing four collaborative beers with historical figures from the craft beer movement. The third installment is a barley wine created by Sierra Nevada's Ken Grossman and Jack McAuliffe, founder of defunct New Albion Brewery, recognized as the first of the new wave of American microbreweries. Sierra Nevada 30th Anniversary Ken & Jack's Ale pours a dark mahogany color with a big hop nose from the 100 percent Cascade hops used in the brew. The beer is a classic American barley wine. Plenty of hops, a touch of malt running throughout and a good hint of the alcohol. This one will be able to age for a couple of years. Cantina Zaccagnini is a family winery that makes wine in the Abruzzo region of Italy, east of Rome. Cantina Zaccagnini 2007 Montepulciano d'Abruzzo pours a rich garnet color with a dark cherry aroma. The wine has plenty of ripe fruit, hints of cedar and tobacco. The tannins are present and help dry the palate, but are silky and do not dominate the overall body. Nice wine to go with a good pasta dinner. Southern Tier Brewing is located in Lakewood, N.Y. The company has grown rapidly since being founded in 2002 and its beers have shown up in a variety of markets across the country. It operates the Empty Pint taproom at the brewery and offers Saturday tours. 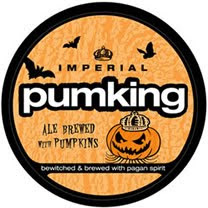 Southern Tier Pumking is a 9 percent alcohol by volume imperial ale. The beer pours an orange golden color with a moderate head and has a muted spice aroma. The flavor has hints of pumpkin pie, with nutmeg and a bit of vanilla. There is some roasty quality to the brew and perhaps a touch of oak. The Duck-Rabbit Craft Brewery specializes in making dark beer at its North Carolina brewery. On Saturday at the World Beer Festival in Durham, the brewer's hospitality area located high in the stands near the right field foul pole featured a real treat, a keg of Duck-Rabbit Whiskey Barrel Aged Milk Stout. Duck-Rabbit Whiskey Barrel Aged Milk Stout pours a thick black color with a thin tan head. There is a sweet aroma to the brew that is a cross between the roasted grains and Bourbon notes. The flavor is an explosion of great stuff. It has a silky mouthfeel that is punctuated by dark chocolate, berries, vanilla and the sweet edge of the Bourbon. The Zipf Brewery in Austria traces its roots back to 1858. Zipfer Heller is a crystal clear light yellow lager that pours with a proud white foam. The beer has a slightly sweet nose, but a crisp hop gives the flavor a crisp, cleansing character. There is just a hint of some grain that comes through. Overall, it is light, dry and a good drink to accompany a light lunch. Fullsteam Brewery is a Durham, N.C. beer maker inspired by the agricultural and culinary traditions of the South. The brewery says it wants to produce distinctly Southern beer using local goods such as heirloom grains and Southern botanicals. This means making beer with sweet potatoes, corn grits, summer basil, scuppernong grapes, persimmon, paw paw and rhubarb. And while the young brewery says it still has a ways to go, the vision is to craft a year-round, sustainable, scalable and distinctly Southern beer brewed with 100 percent local ingredients. At the World Beer Festival in Durham tonight I had the chance to sample several of the brewery's beers. They are first class and suggest that Fullsteam will be one of the beers to try from the southeast in years to come. Fullsteam Hogwash Hickory Smoked Porter is a amber brown color with a rocky tan head. The beer has a very inviting smoky nose. The flavor has a nice malt base that delivers a wonderful smoked bacon flavor. The brewery house-smoked malted barley over hickory to achieve an interesting twist on a smoked porter. This brew would stand up nicely to anything coming out of Bamberg or to other domestic smoked brews. Birrificio Torrechiara is located just south of Parma, the northern Italian city best know for its famous aged hams. 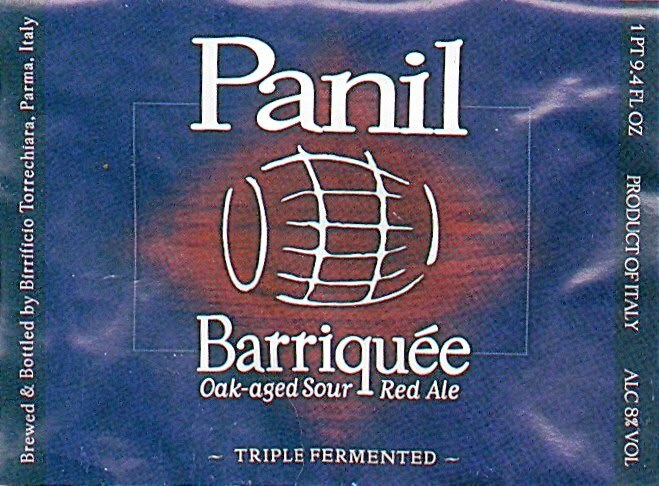 The Panil name has been associated with a family winery for several generations, but now beer is their top product. 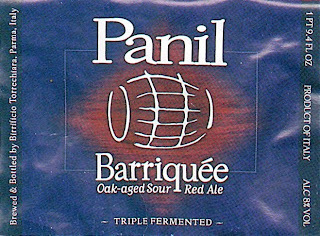 Panil Barriquee Batch #11 was made in 2009 pours an amber color with purple around the edges. A firm tan head hangs around nicely for a barrel-aged brew. This is a nice entry level sour. Pleasant citrus and a bit of oak, but not over powering. There is some background notes that remind you this was aged in ex-Cognac barrel. A nice bottle to split. Alamos wines are sourced from some of the highest altitude vineyards in the world. The Andes block weather systems from the Pacific Ocean and the climate in the vineyard areas is dry. 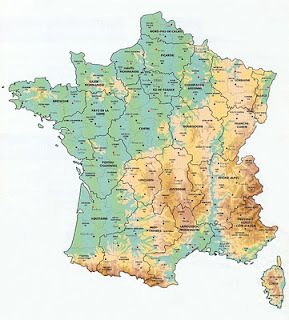 Vineyards were planted in the region in the 1850s by the French, but it was not until the 1990s that wines from the region were widely discovered by U.S. consumers. Alamos 2009 Torrontes comes from the high-altitude Salta vineyards in northwestern Argentina. This wine pours a bright straw color with a citrus and pear nose. The grape has a good amount of fruit with crisp acidity. Peach, floral notes and citrus come forward throughout a long flavor profile. 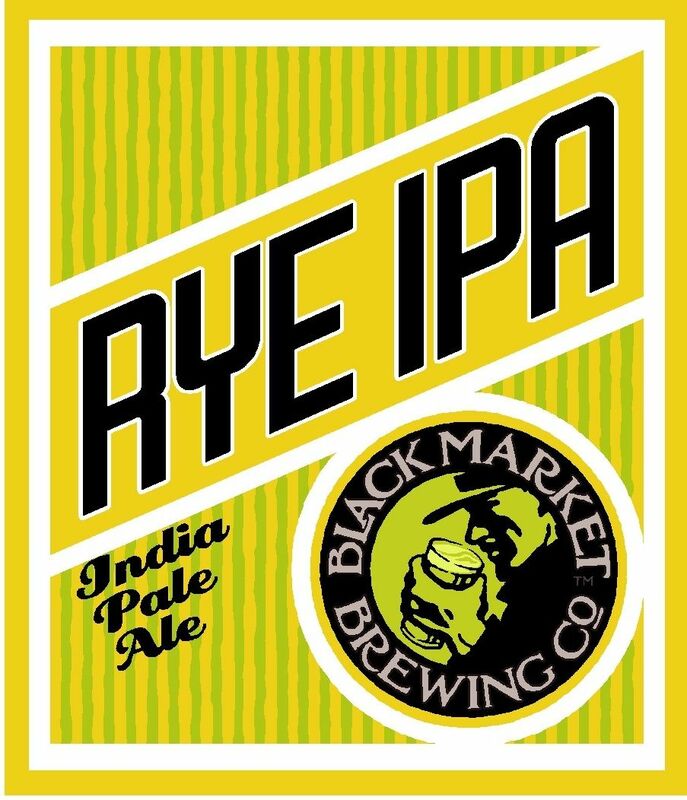 Andrew Marshall had been homebrewing for nine years before launching Black Market Brewing in Temecula, Calif., in 2009. The brewery would earn some quick recognition, taking home a gold medal in the rye beer category at the Great American Beer Festival. 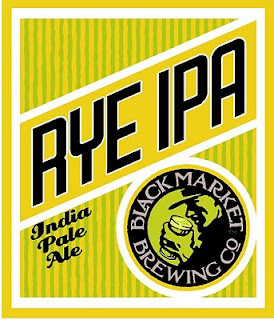 Black Market Brewing Rye IPA pours a gold color with a slight amber tint and a full rocky head of foam. The ale has a pronounced floral aroma from the Amarillo and Cascade hops. The flavor has a forward mix of citrus and pine, with some background spice notes from the rye, which makes up 21 percent of the grist. In 1896, Perthshire grocer and wine merchant Matthew Gloag created a blended whisky. This was common practice among shopkeepers at the time around the United Kingdom. He decided to name his whisky after an iconic Scottish bird, rather than himself. The Famous Grouse Brand was born. 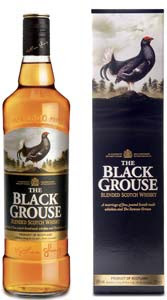 The Black Grouse is a new brand extension from the distillery. It was originally release a couple of years ago exclusively through duty free shops at major international airports. The Scotch is a medium golden color and has a rich peat nose. The flavor has solid smoke content, reminiscent of Islay malts, that lingers and becomes a mellow reminder of a good dram. There are some hints of berry and perhaps a bit of port in the background. Destileria Serralles produces the DonQ brand in Puerto Rico, which is the number one selling brand on the island where the lion's share of rum consumed in the U.S. is distilled. BlackBeard Spiced Rum is new from Serralles. I will admit to not being a huge consumer of spiced rums -- they tend to be a bit over the top for my palate, so I was not entirely sure what to expect when I cracked open the sample they shipped to me. BlackBeard Spiced Rum pours a rich amber color and has an inviting vanilla nose. There is a slight sense of cinnamon in the middle of the flavor profile on this rum, but for the most part BlackBeard is carried along by the vanilla notes, with a bit of toffee in the finish. This is a pleasant drink that should go well in a variety of cocktails. 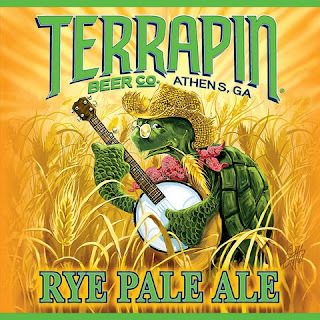 Terrapin Beer Co. was born in Athens, Ga., in 2002. The company launched with a single beer, Terrapin Rye Pale Ale, that it started brewing on a contract basis. Just six months later the beer ended up taking the gold medal at the Great American Beer Festival. Terrapin Rye Pale Ale pours a golden color with a rocky white head. The aroma has a nice floral and citrus note. The flavor has some good hop spice and a nice amount of malt overall. Well designed and layered flavor. Great Divide Brewing has been around since 1994. 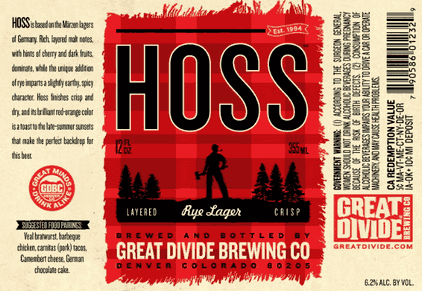 The Denver-based company has won 16 Great American Beer Festival medals, including a bronze in 2009 for Hoss Rye Lager. 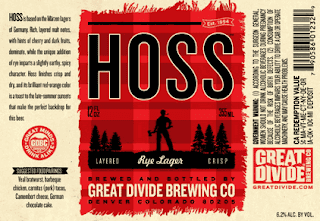 Great Divide Hoss Rye Lager is a 6.2 percent alcohol by volume beer that pours a rusty brown with a thick tan head. The aroma has some good malt undertones with just a hint of citrus. The body has a nice malt biscuit flavor with some spice in the background. Brouwerij Roman has been around since 1545 and is located in Oudenaarde, Belgian. It is a family run brewery -- 12 generations have been making great beer. I guess kids in this family have an idea of what they will be doing when they grow up. Adriaen Brouwer Dark Gold Ale is named for the painter. It pours a brown red color with a head that starts strong, but fades. There is a slightly floral note to the nose with a hint of toffee in the background. The flavor is malty, with hints of apple and a bit of raisins.